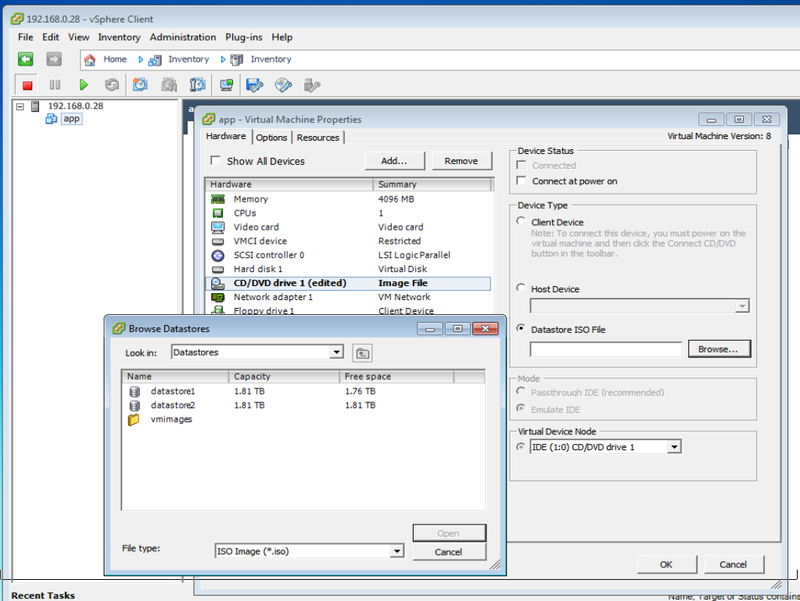 These are notes on my vSphere use at home, on my virtualized server. 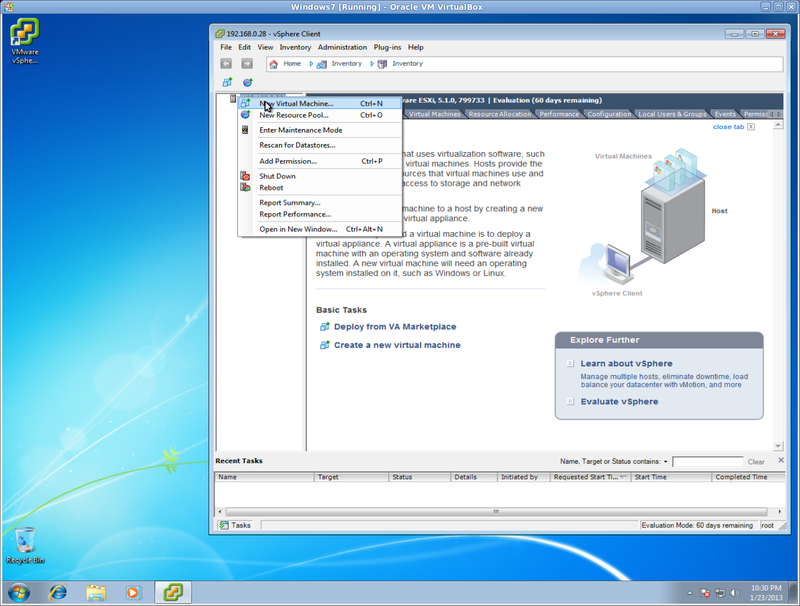 I'm running vSphere in Windows 7 on a Sun VirtualBox running on my Lucid desktop. Boot from VMware CD made from site. 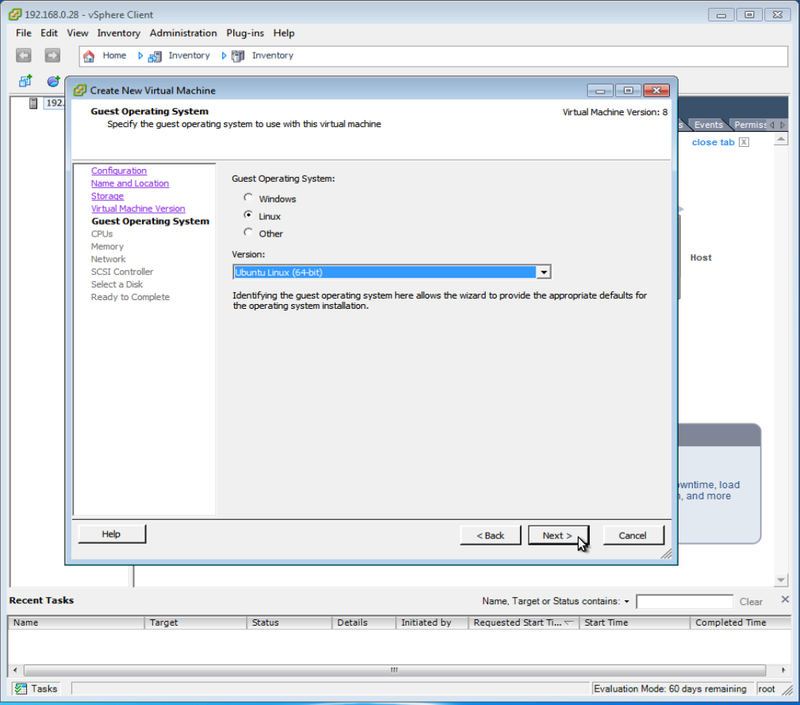 find how to enable it this in the BIOS before installing ESXi. 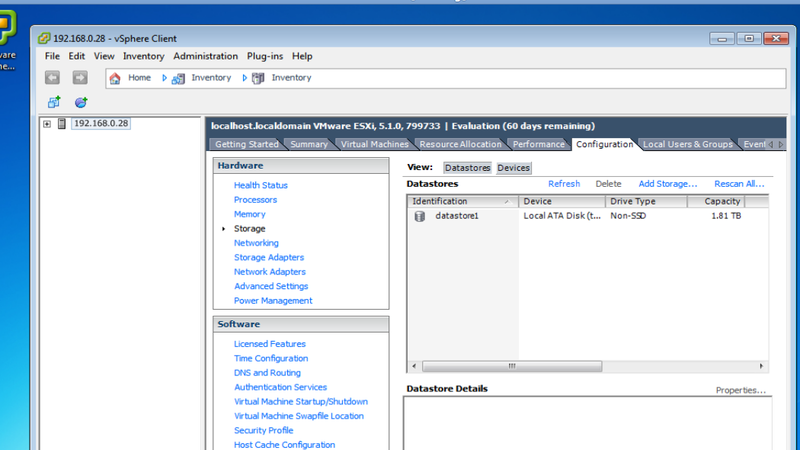 ESXi successfully installed. Evaluation period 60 days. Afterward, must register for a license. 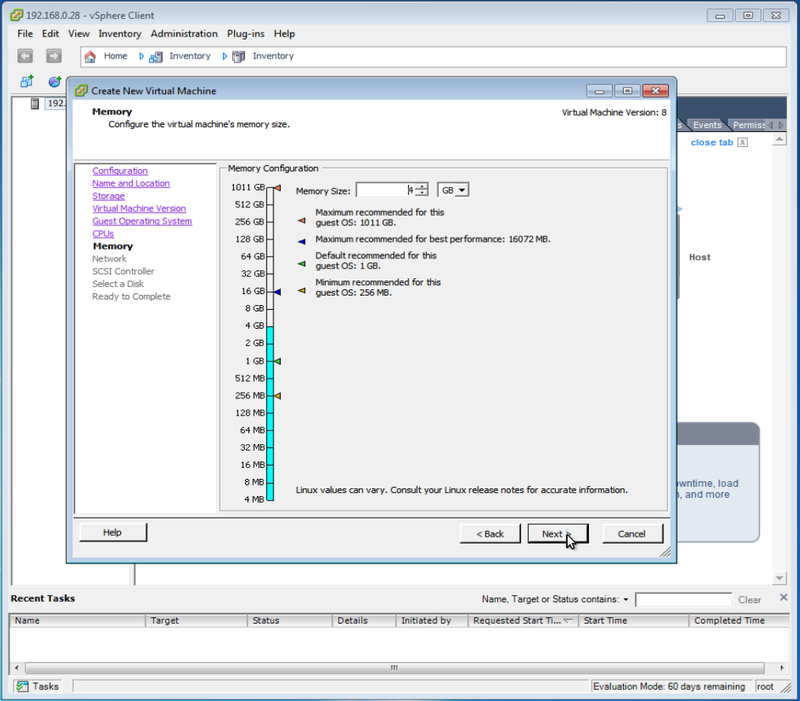 Tools to manage ESX at 192.168.0.28. 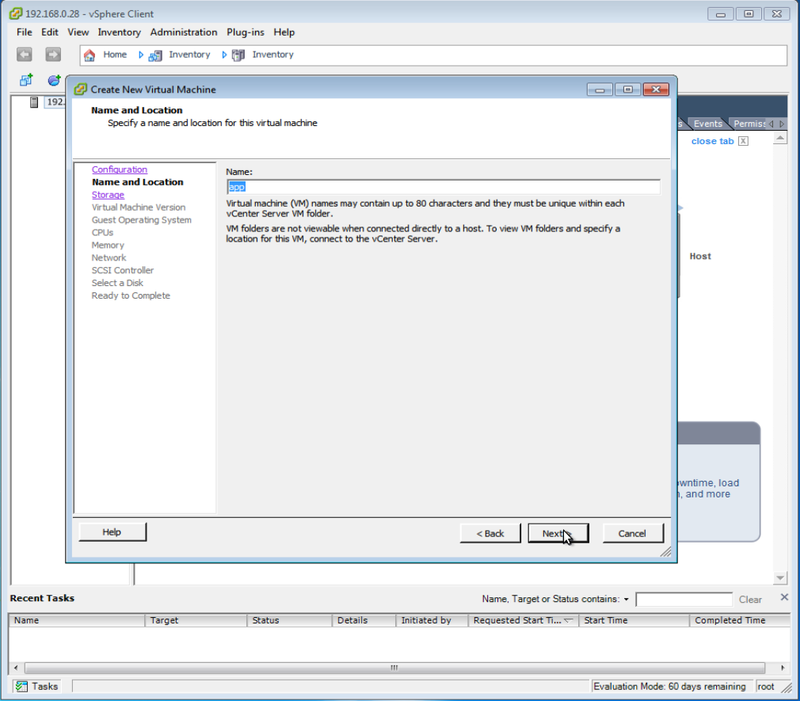 Go to Advanced -> CPU Configuration -> Intel Virtualization. 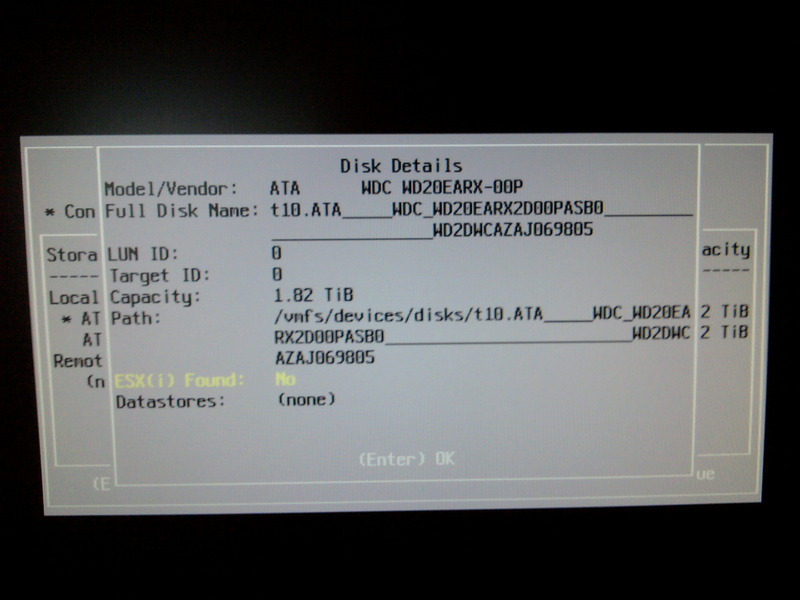 More on the ESX datastore problem: it only retained my first disk after installation. Reboot with second disk attached to a different SATA connector. This accomplished nothing. Here I'm presented with a screen similar to what I had originally. 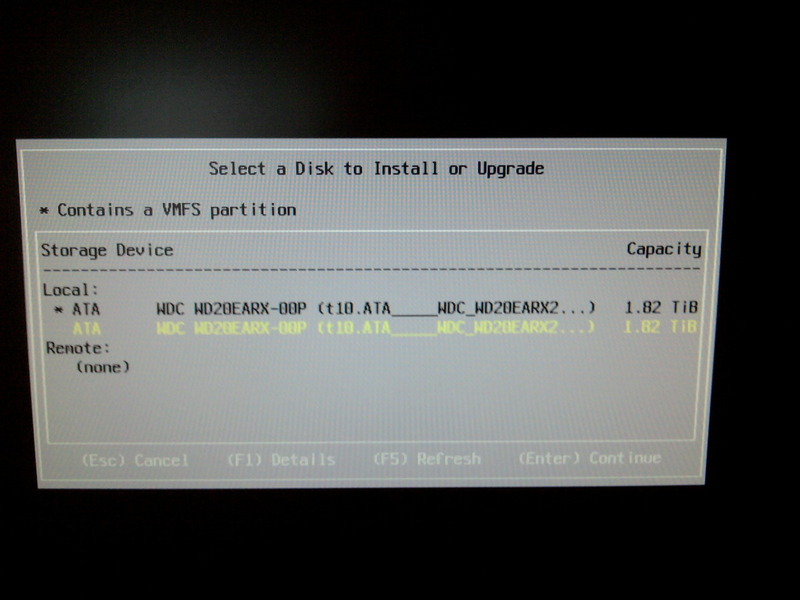 I'm resolved to choose the second disk this time, which doesn't already have ESXi on it, for this second installation. The details of the second disk installation if I proceed. 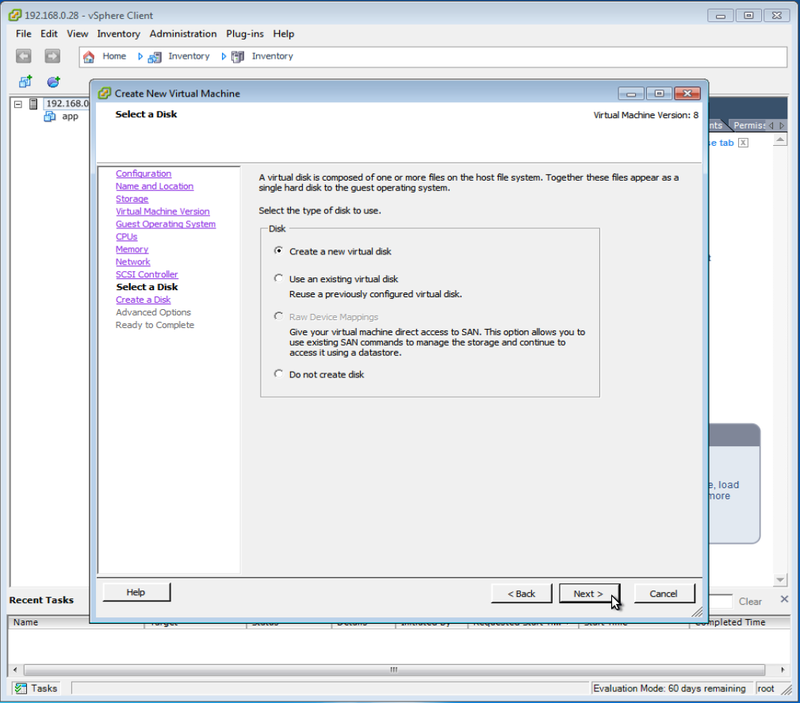 Confirm I'll proceed to instal ESXi on the second disk. 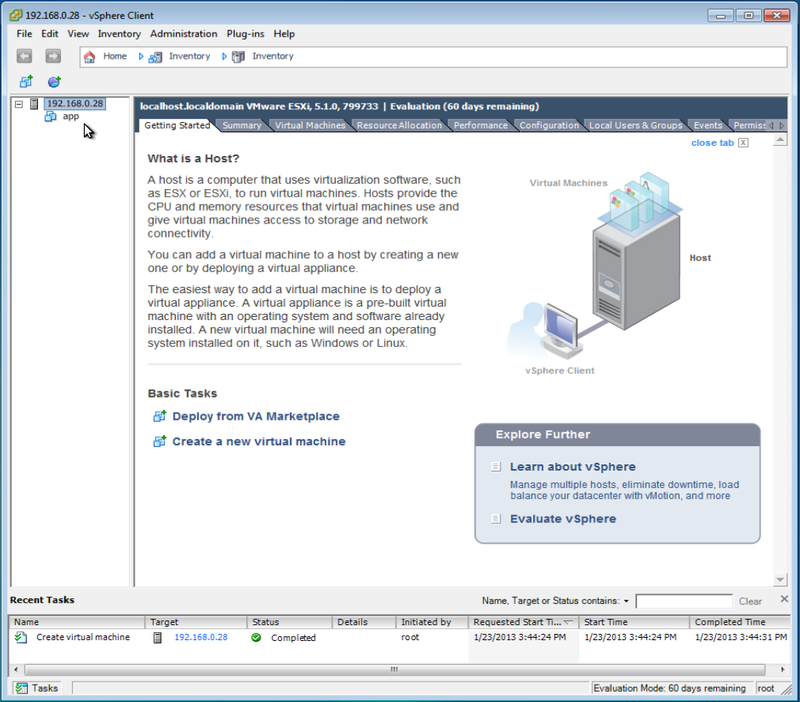 Once I install ESXi on the second disk, it shows up in vSphere as an additional datastore. slightly smaller than the second, new one (1.76Tb vs. 1.81Tb). The second, new datastore (2) is nearly empty. The solution to having both disks recognized is slightly perplexing at this point since I was hoping for some kind of RAID solution across some of the VMs I create (the database ones). 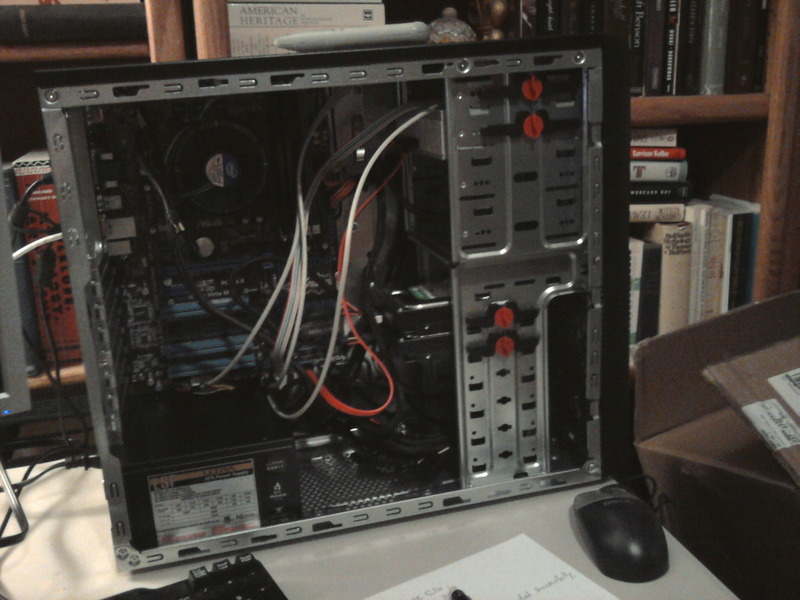 Here's my new server; I haven't cleaned up inside the case with wire-ties or installed the additional muffin fans I plan. However, it appears to run as cool as it is quiet. It's an Intel i5-2500K (3.3GHz) with 16Gb of memory, 2 × 2Tb of disk. 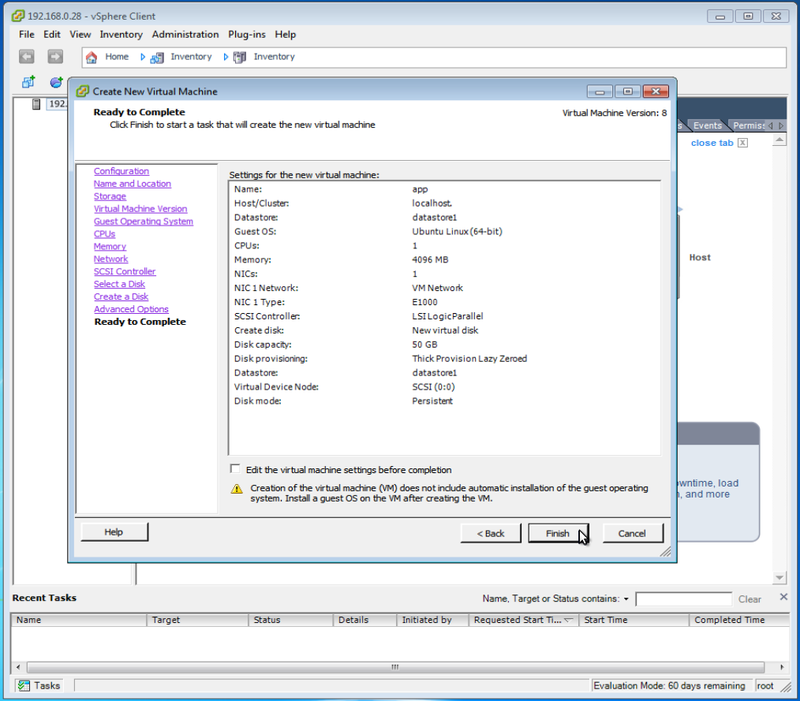 Finding how to enable virtualization in the BIOS was like looking for the proverbial needle in a haystack. 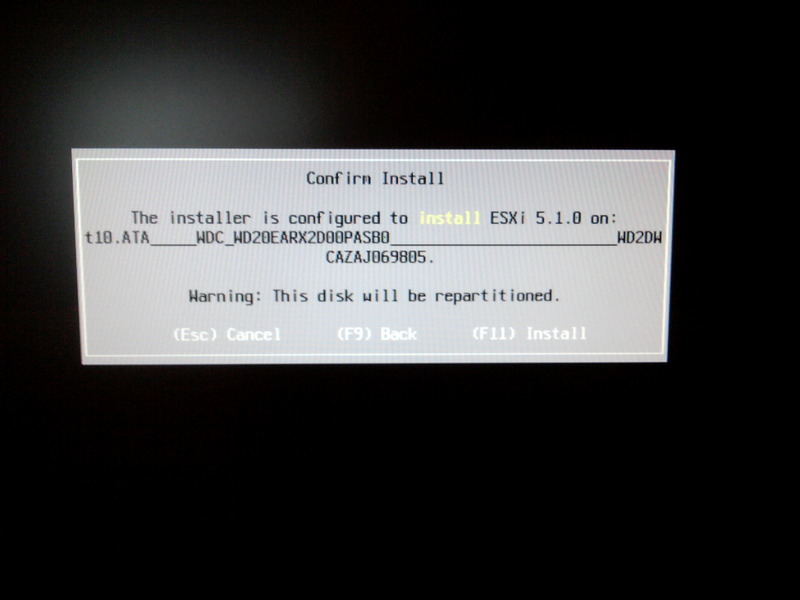 I missed it the first time I looked and the ESXi installation let me know positively that I had. 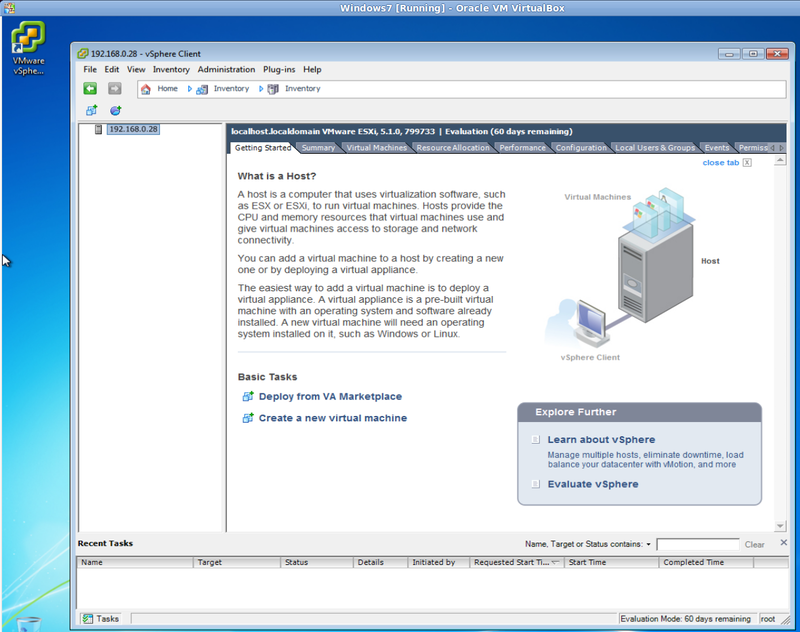 I log into vSphere for the first time. I got the address of the server hardware from ESXi after it came up. What could be simpler? Name the new virtual machine, app; we're going to set it up completely including Tomcat and the Chef client, then turn it into a template from which we'll generate our actual, working VMs. We just have one disk: everything's going to go here. We were supposed to have two, see image at end. Uh, wasn't sure about this in terms of adding cores: would Tomcat make use of additional cores? How would this affect other VMs we run? We'll create a new virtual disk, I think. I'm not sure here, so we'll see what happens when we turn this into a template later. Et voilà : we're done! You can see that app has been created. 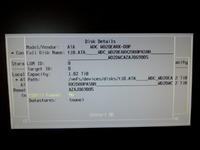 Here's a blurry image showing that the second disk is indeed known. 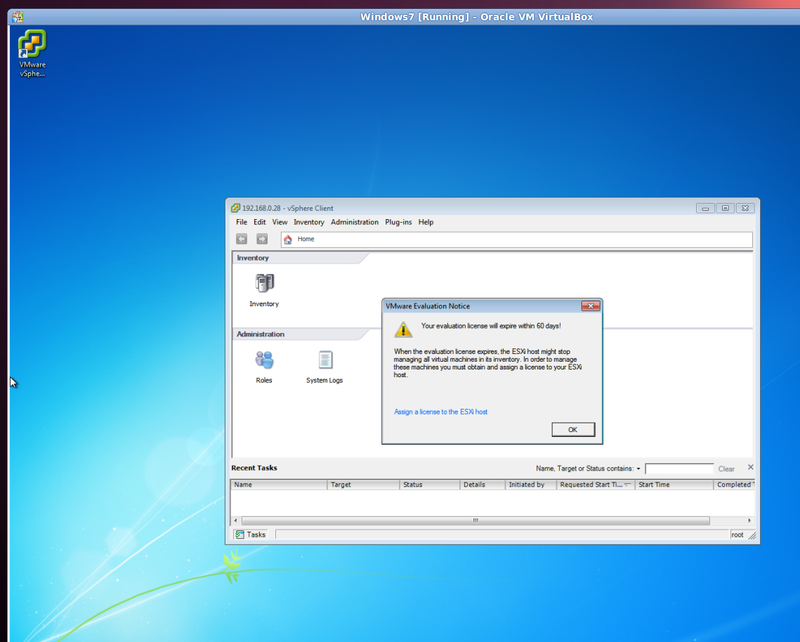 Yes, despite the BIOS' opinion, VMware doesn't seem to notice the second drive. This was nastier than I dreamed it would be. There seem to be 36 different ways to achieve it, but none work. What I really want to do is install from an ISO I have on a CD. The instructions are at Install a Guest Operating System from Media. 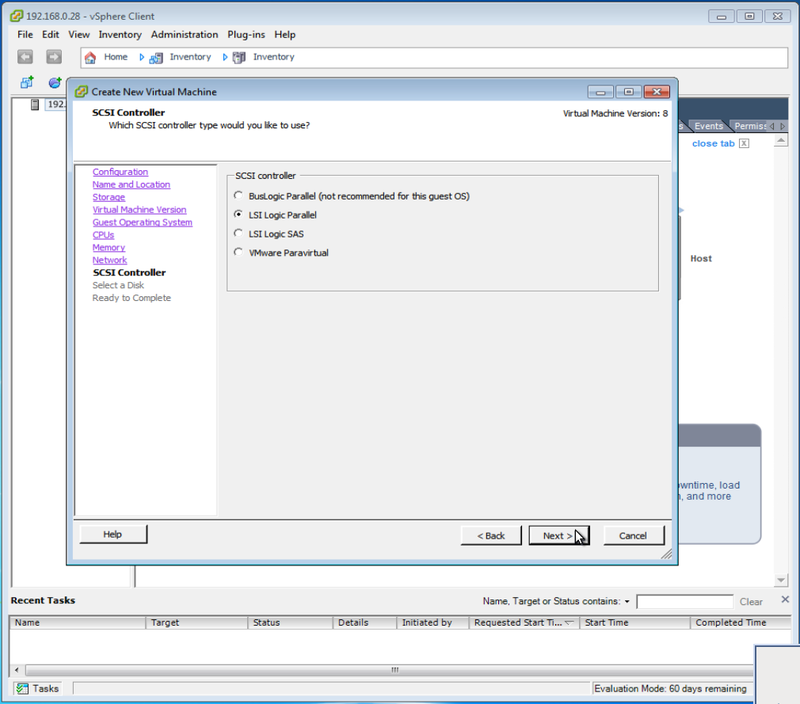 Install from ISO disk in CD drive. 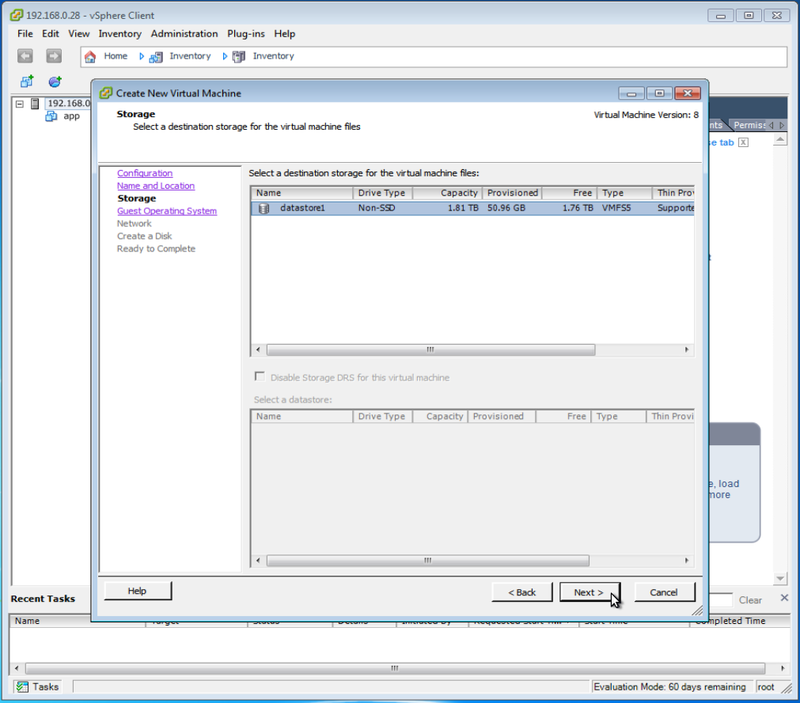 Install from ISO copied up to a ESXi datastore via ssh (very fast). The instructions for using the CD drive don't work because the VM you want to install on will likely launch far too quickly for you to grab the CD icon button and configure it before it's too late. 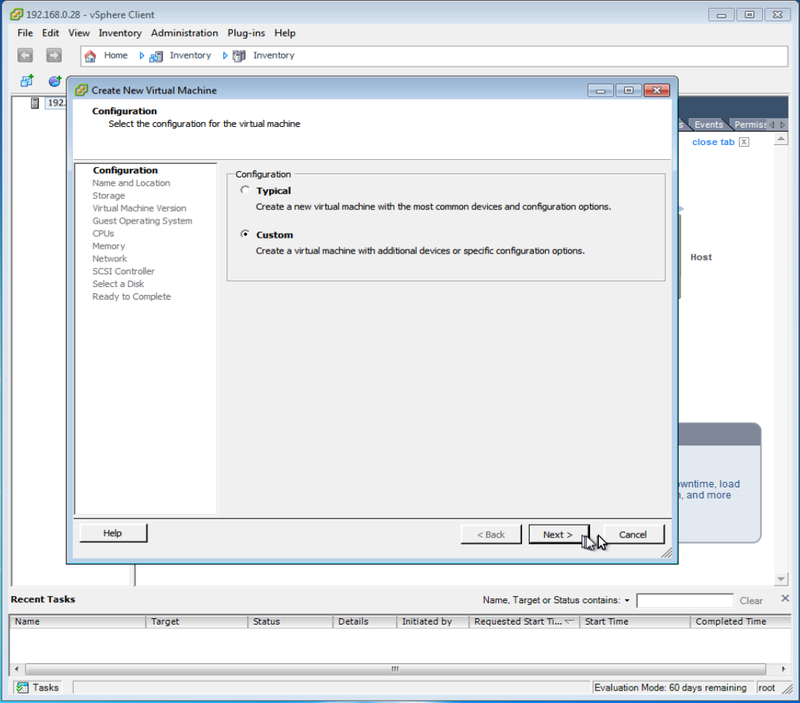 Right-click the VM, choose Edit Settings. Click on the CD/DVD drive of your choice. Click the Host Device radio button. Use the drop-down to select the CD device (typically, there's only one choice). Insert your operating system ISO CD in the drive of the host (not your client) machine. 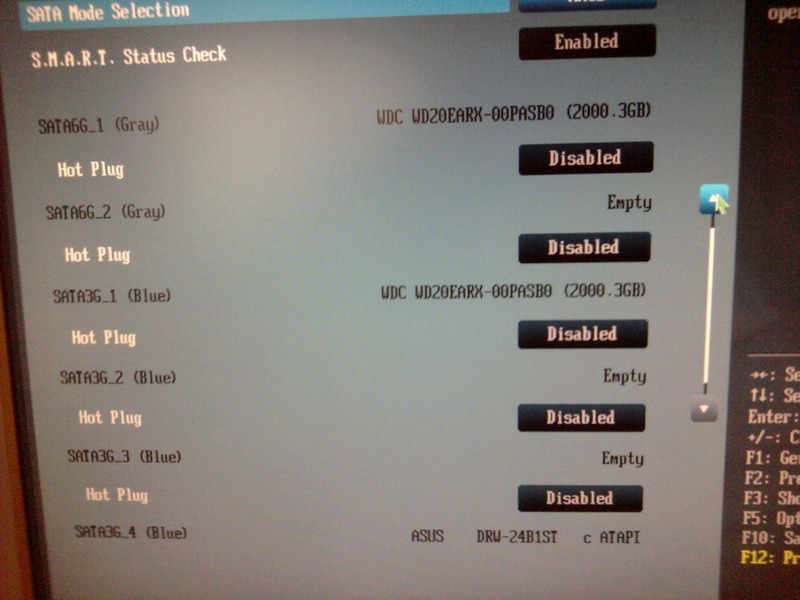 This is the machine you're configuring a VM on. 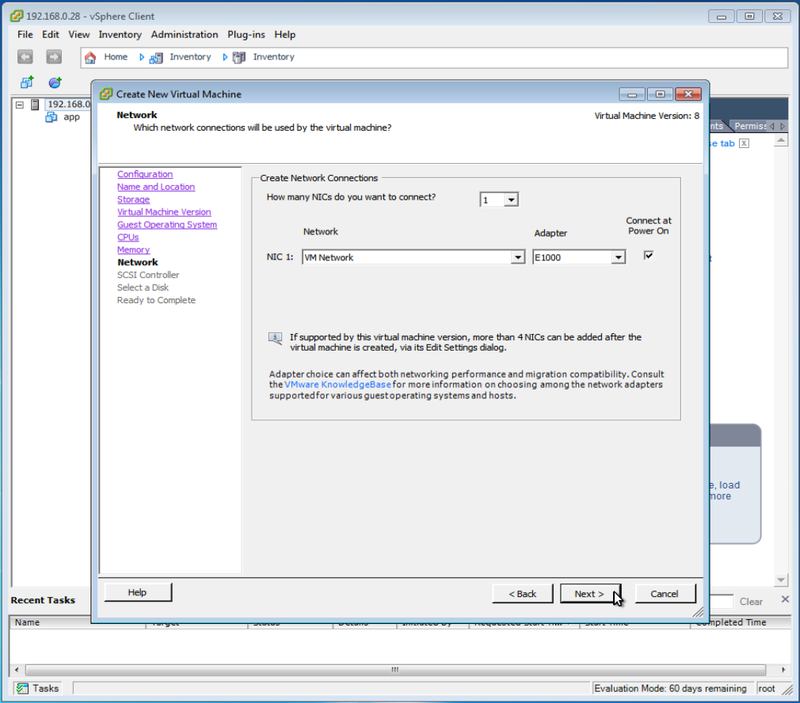 Launch the VM by clicking on the green arrow button or however else you are pleased to start it. 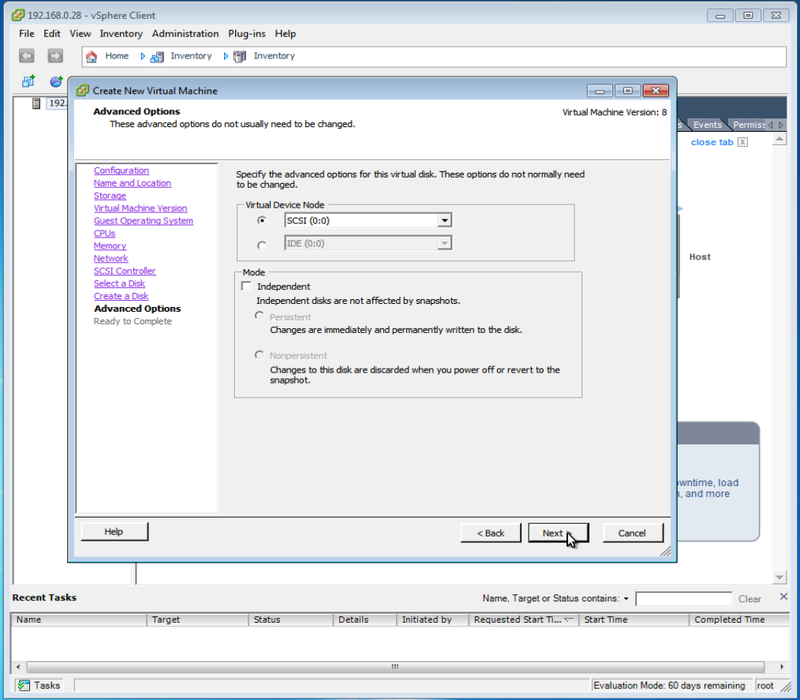 Click the Datastore ISO File radio button. 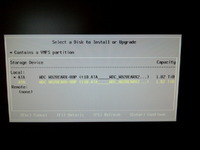 Use the drop-down to go find the ISO you dropped on the ESXi datastore, something like ubuntu-12.04.1-server-amd64.iso. In my case, precisely datastore1/iso/ubuntu-12.04.1-server-amd64.iso. Did I mention this was way-faster than using an actual CD? To do this (from anywhere that can reach the system, you'll need to enable ssl. 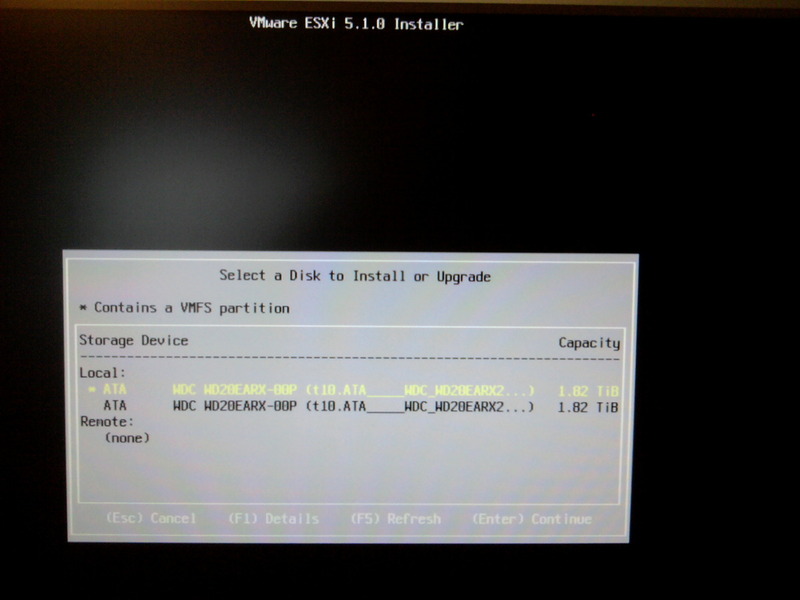 This method of installation, once set up, installs a guest OS very much faster than from a CD. Look for Firewall (contains SSH Server). Check the SSH Server box. ~ # alias ll="ls -al"
drwxr-xr-x    1 root     root           512 Jan 28 20:19 .
drwxr-xr-x    1 root     root           512 Jan 28 20:19 ..
drwxr-xr-x    1 root     root           512 Jan 28 20:07 .
drwxr-xr-x    1 root     root           512 Jan 28 20:20 .
drwxr-xr-x    1 root     root           512 Jan 28 20:07 ..
drwxr-xr-t    1 root     root          1400 Jan 26 20:03 .
drwxr-xr-x    1 root     root           512 Jan 28 20:20 ..
drwxr-xr-x    1 root     root           420 Jan 26 20:06 .
drwxr-xr-t    1 root     root          1400 Jan 26 20:03 .. Uh, you can't. It's that simple. Templates are a function of VMware vCenter and that costs beaucoup bucks. In addition to Ubuntu Precise Pangolin 12.04 (LTS), I want to install a line of base software for the sort of VM I'm creating. 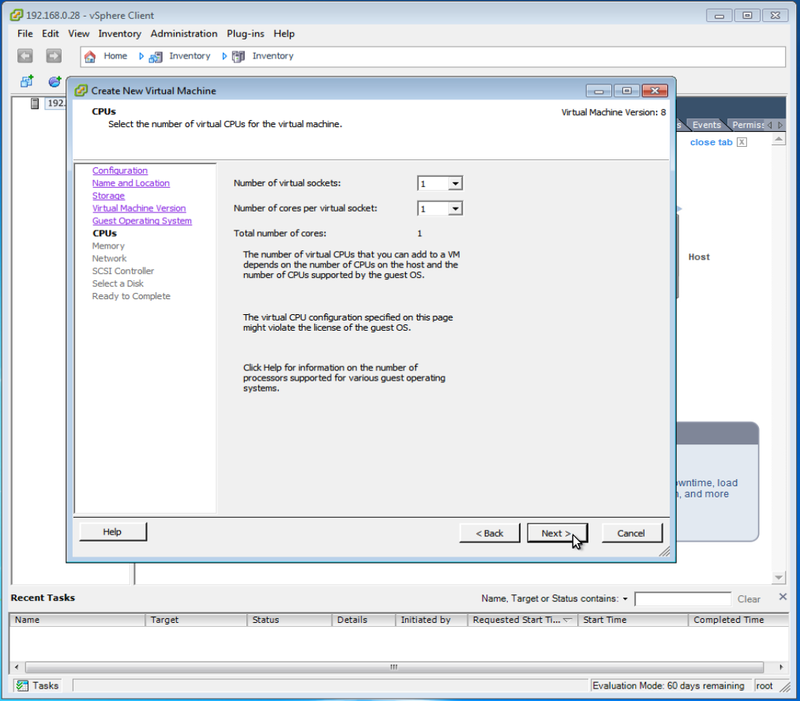 In fact, I'm going to turn the VM into a template afterward. 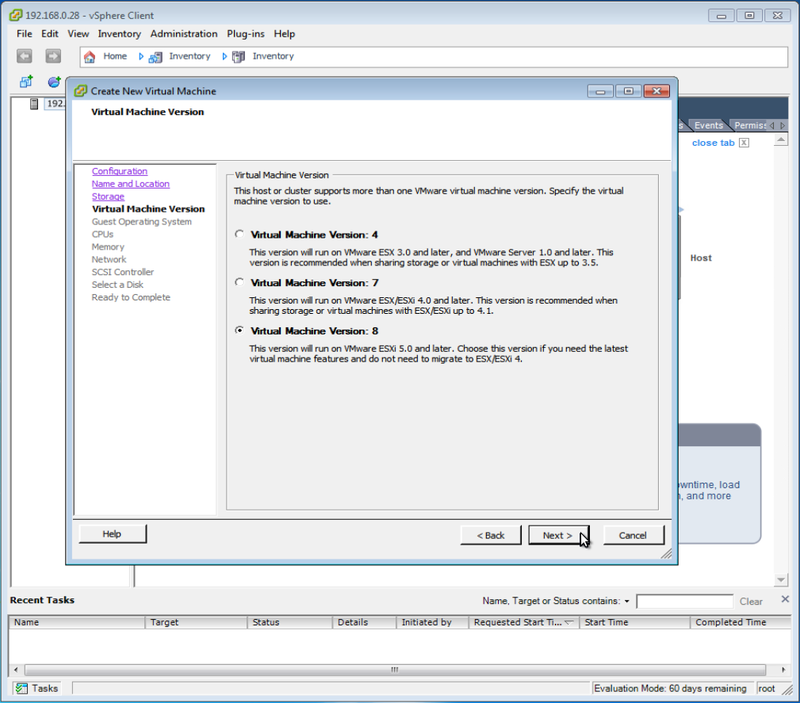 That way, everything I install will be there and functional for all VMs I create from that template. Sun Java JDK Just better than OpenJDK. 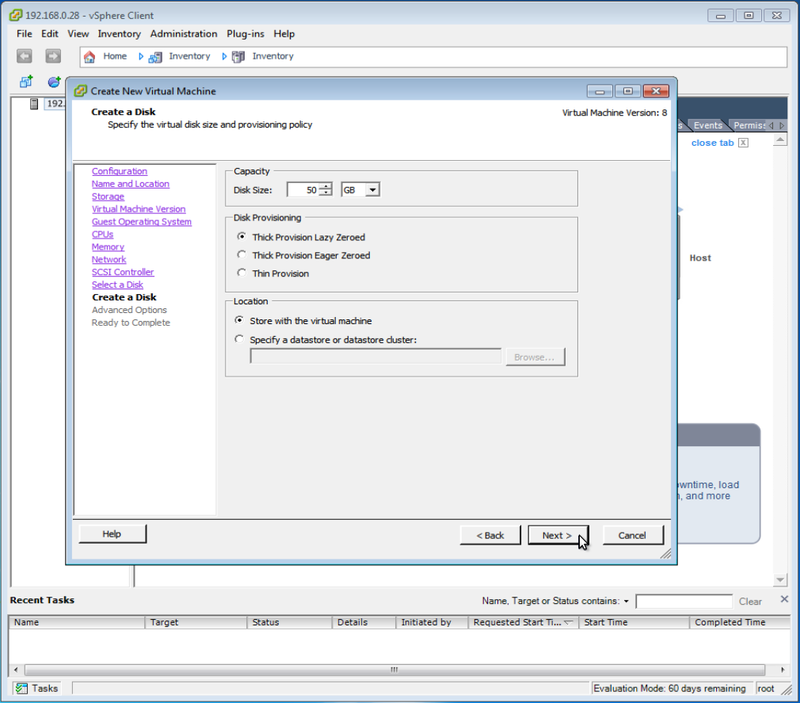 Chef client Will be used by Chef for deployment.